Business loan based on revenue is an increasing resource for small business owners. As the economy works back to being a formidable competitor companies are seeking ways to grow and business loans based on revenue is an excellent option. In this post we’re going to look at utilizing your business cash flow as a way to increase your company profits. Using wise borrowing decisions involves examining your reasons for the extra funds, and whether its to meet your needs or increase your company’s chance of growing, a business loan based on revenue offer a realistic approach. All too often small business owners opt to take on loans that threaten to put them in the red and create owners that quickly regret signing for traditional business loans. Yet another good reason for opting for business loans based on revenue is the structure of such loans allows for a favorably term, offering repayment which is quicker and much less costly than cash advances. Business owners are also met with simple and reasonable approval criteria your reasons for the extra funds, and whether its to meet your needs or increase your company’s chance of growing. A business owner should have a credit score of at least 500, surprisingly low for a loan approval, but remember business loans based on revenue are more about your success as a business owner, rather than some temporary credit difficulties. Secondly, let’s talk about the revenue, business owners should have a monthly revenue of $10,000 or more. 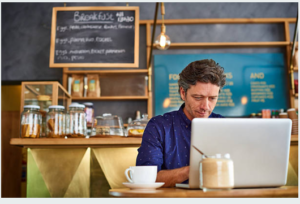 There are incidents of approving small business owners for business loans based on revenue under $10,000, but you’ll get the best terms as a small business grossing 100,000+. Minimally , you should have a monthly revenue of $7500. Additionally, you’ll need to be able to demonstrate your revenue, and most lenders require 3-4 months of banking statements. There are a few ways to increase your approval rate, even for business under $7500, usually arranged by lending consultants. The best business loans based on revenue lenders will want to see that you have an established business, this means at least 1 year in business , with better rates going to owners with 3 years of more. You’ll most likely maintain full control over what you do with your funds, marketing, hiring, expansion, the decisions are yours to make. Business loans based on revenue growth is no surprise and it can certainly be just the fudging option your business needs.